I am a about a 8/10 modeler, not the best but reasonably good modeler who likes accurate looking models without the over preshading that seems to be prevalent at the moment. 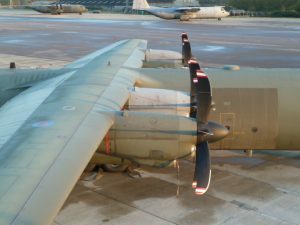 Having had the privilege of serving in the RAF for some 34 years, I have seen many interesting aircraft and schemes. However this exposure to all these aircraft, makes one very critical of modelers who do not observe the actual subject. Do not ask me for an opinion on a model, as you may be disappointed with the answer. My preferences for subjects are colourful US Navy, Modern Russian aircraft and Luftwaffe subjects mainly to 1/48 scale and any other interesting subjects that catch my eye. Please if you want to come along to our club nights please just come along and say hello we do not bite and although we may look like grumpy old men we are not once you get to know us. 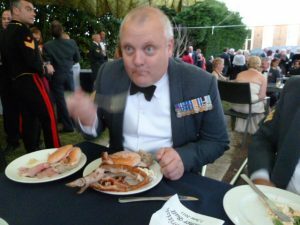 Me enjoying a mess night at RAF Lyneham. I think it was the Summerball.